Office-Politics » Kiss-Up or Savvy Player? You’ve seen them at work: those people who are always volunteering for committees, enthusiastically attending industry events, and being all “It was a team effort!” at department meetings. What’s your take on this? Are they supreme “kiss-ups” angling to look good in front of the boss. . . or are they savvy business people who know how to “work it”? It really depends on your mindset. Would you call your friend who’s an Account Executive a kiss-up for making phone calls and asking for referrals? No, probably not, because in your mind, that’s what someone in a sales job “should” do. People expect outside sales reps to be making phone calls and attending industry functions. It’s seen as a required part of their daily work; nobody attaches an “evil intent” to the activity. Connection-making of this sort is external networking – making connections beyond the company walls. How Can I Improve My Internal Networking? So let’s say that you’re on board with the internal networking idea. How do you go about developing this skill? The first thing you need to do is know that the effective internal networker is one who’s always going for the win-win. They create connections because they believe that reaching out to others will help all involved, including the company. Internal networking means that you reach out to colleagues within your organization, even if your job doesn’t require you to do so. It’s going beyond your normal scope of job responsibilities. Being an internal networker means you are looking outside your immediate, day-to-day activities and thinking about how you can connect with and create value for others in your company. Take a moment and remember a time when you successfully made a connection beyond your department boundaries. Think about how you benefitted and the other person did too. That will help you get in the right frame of mind. 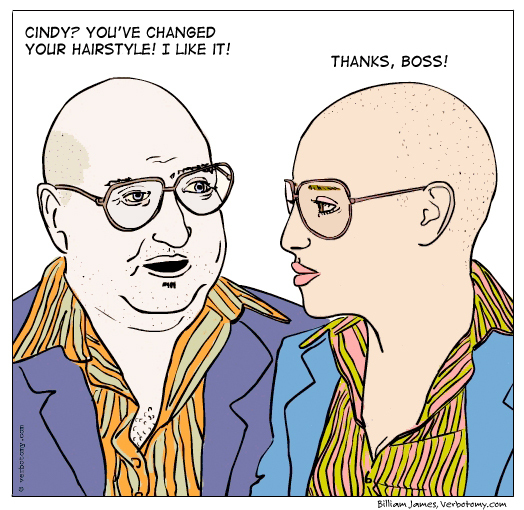 Have a decent relationship with your boss? Ask her (or him) to give you a few ideas on other leaders who you should get to know in the company. The purpose would be to broaden your business acumen and learn from another leader in the company. Who knows? Maybe it will turn into an informal mentoring situation. Plus, it helps to know other business unit leaders if you want to switch job functions in the future. Make a list of key players in your organization that you would like to get to know. It’s OK if the list has only 3 people. If you’re not comfortable inviting them to meet you, find a person who knows both of you and ask that person to make an introduction. Arrange to have a coffee break or lunch with the purpose of getting to know what you both do for your jobs. When people are promoted, receive an award, or otherwise achieve something, send congratulations. A quick congratulatory email to someone (even if you don’t know them well) will go a long way towards showing that you are paying attention beyond your cubicle’s four walls. Been assigned to a cross-functional project team? If you’re unfamiliar with the work of the project team members, suggest that one of the initial project team meetings be an “infomercial” of sorts. Have each team member do a 2 minute recap of their role back at their desk. Not only will you learn more about your project team members, you’ll also quickly gather data that may head off miscommunications or misperceptions for the project. Talk up other people’s accomplishments. When in department meetings, be sure to praise other teammates’ wins. Do the same for people in other departments who have helped you out. Word will spread that you’re a team player, one who’s not afraid to share credit. Networking inside your company’s walls does not mean that you’ll garner a reputation for being a gamer. Rather, if you keep others’ interests in mind, you will be seen as someone who’s willing to lend a hand. The well-connected person creates value for all. I am a guy who works with a lot of women. I find that all the unpleasant tasks are being given to me. I also find that when there is extra work to be done it is usually given to me. My boss is a guy and he seems quite weak when it comes to women. They can look as if they are going to cry and he will give into them right away. Also, if he gives certain ones extra work, they get calls from their childrens school necessitating their immediate absence. If we are short staffed then the next day we are even more short staffed because their children are ill, or they are ill. Just about every woman there has some kind of problem, illness, bad back, headaches, which are invoked at suitable times. One woman even told me that I should take all my sick days. Now I am not the sort of person to pull sickies and have not lost a day all year, but I am just being used as a dogsbody so others can have an easier time. I could speak to my boss about it, but I will feel like a whiner, just like the others. Furthermore, I dont think it will make any difference because my boss is stuck between a rock and a hard place. They have it all over him.